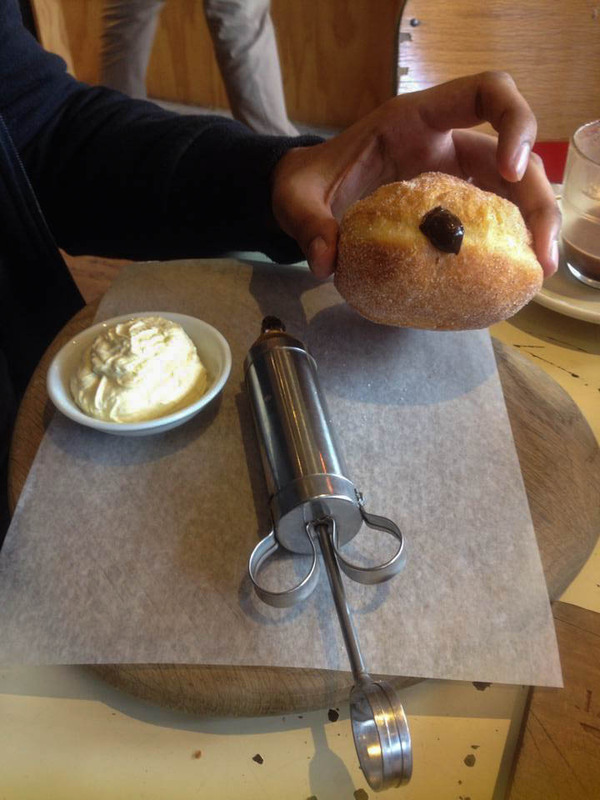 we had brunch at foxtrot parlour, a cute little cafe known for their donuts you can inject fillings into! 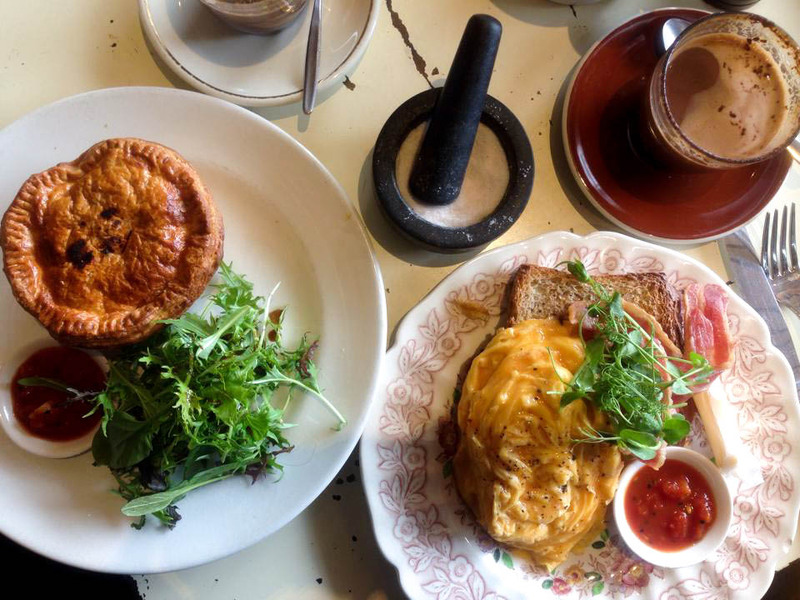 we ordered a mocha each, and i got the henhouse raid: famous creamy scrambled eggs with toast and house chutney + free range bacon for $17.50, and v got the morroccan lamb pie which came with a side of salad for $8. for dessert we got the foiyo donuts!!! one with the valrhona chocolate filling and the other with the bay leaf infused vanilla custard, at $6 each. my meal came with one slice of toast, a stick of butter and what looked to be about four eggs worth of scrambled eggs. 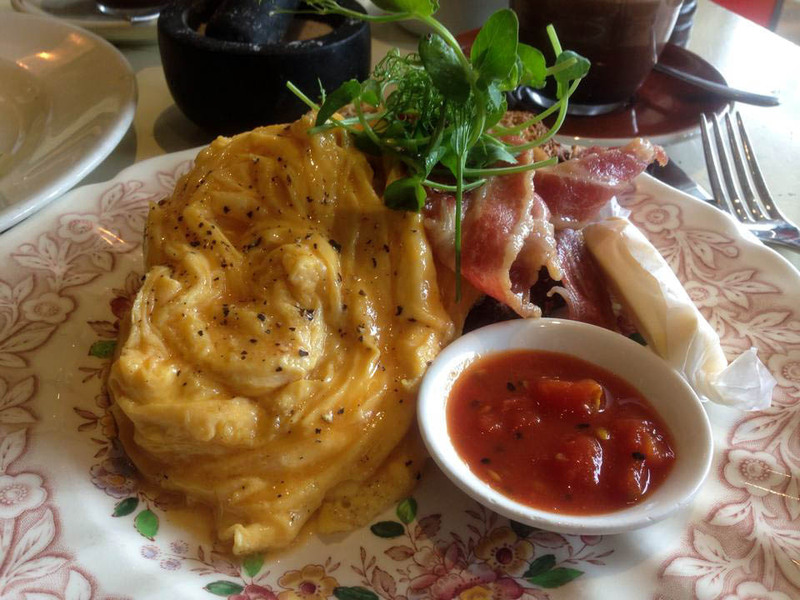 the toast was thick, but i felt like there just wasn't enough in comparison to the amount of eggs i had! on the morroccan lamb pie, v said "it was good, but it wasn't astounding." those exact words. the main dishes that we had were exactly that: good, but nothing special. ... mine exploded. sorry for the unsightly view. 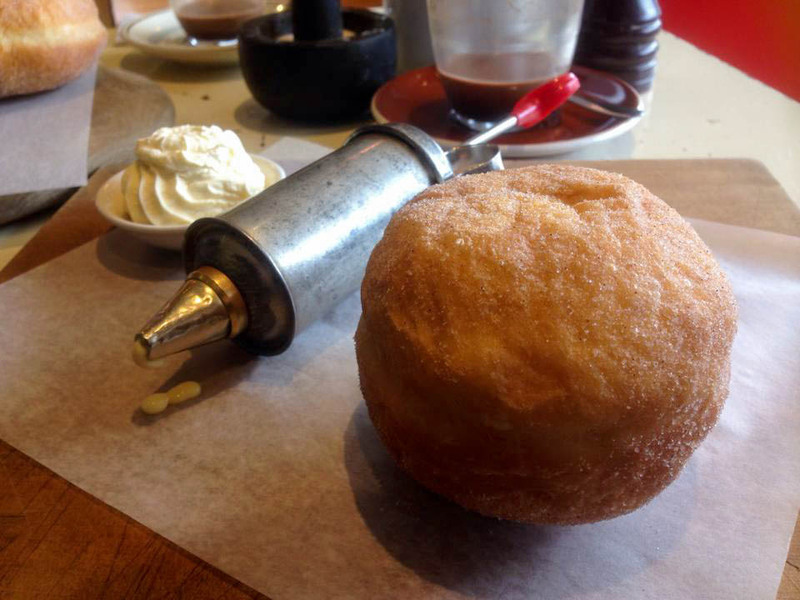 i didn't know how to inject the donut, and there wasn't any pre-made hole that gave me any clues on how to proceed. i ended up completely pushing all the custard out of the syringe and it all just exploded. nevertheless, it was good! the donuts were a bit dry and definitely needed the fillings. 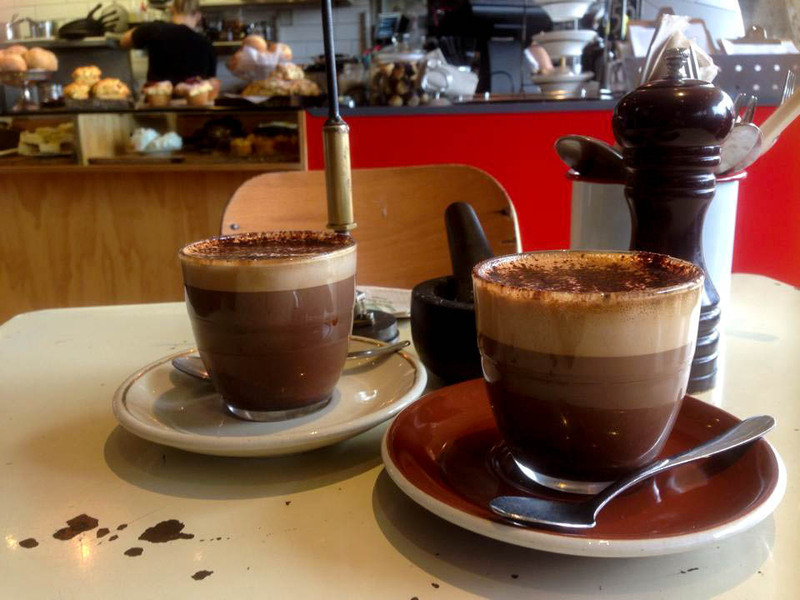 the valrhona chocolate would be perfect for any chocolate lover (which unfortunately, is not me). overall, the donuts are worth the experience and i'm super excited to go explore the rest of ponsonby central! 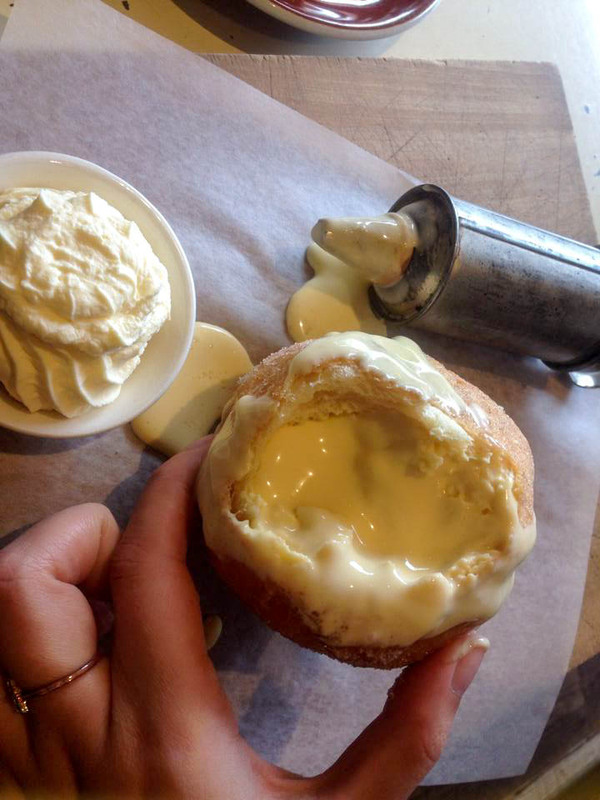 who else has been to foxtrot parlour and tried the donuts??!? !